Between the 31st and 2nd of February, a 9 headed delegation of the RUNIN project, came together in Barcelona at the Geography of Innovation (GEOINNO) conference, which is one of the leading conferences in the field of the geography of innovation. Although the presence on this conference itself offered already a wide set of topics related to our research interests, two special parallel sessions on “The Role of Universities in Innovation and Regional Development” was the explanation for the large RUNIN presence. The RUNIN special sessions brought together an interesting mixture of senior and junior academics presenting and discussing their work related to university-industry interaction. Although the first RUNIN session started at nine ‘o clock on the last day of the conference, a sizable group of interested people showed up for the session. Chiara Marzocchi and Fumi Kitagawa kicked of the first session by presenting their research about necessity and opportunity driven student entrepreneurship in the UK, emphasizing that this is driven by the university ecosystem context embedded in a broader regional social context. With the next presentation, we stayed within the UK context, in which RUNIN member David Charles analysed the differences in how universities defined their region of engagement. He emphasized that universities operate on multiple geographical levels and not necessarily stick to the boundaries of existing geographical regions. Martinez-Chafer changed the context to Spain and showed that universities take a central role in cluster conversations, especially on technological topics, but also on business topics. The first session came to a closure by the presentation of RUNIN early stage researcher (ESR) Gerwin Evers about the impact of the establishment of a university of the graduate labour market. The studied region provided statistical evidence for an initial wage premium, which disappeared over time, however this did not lead to an increased mobility over time. 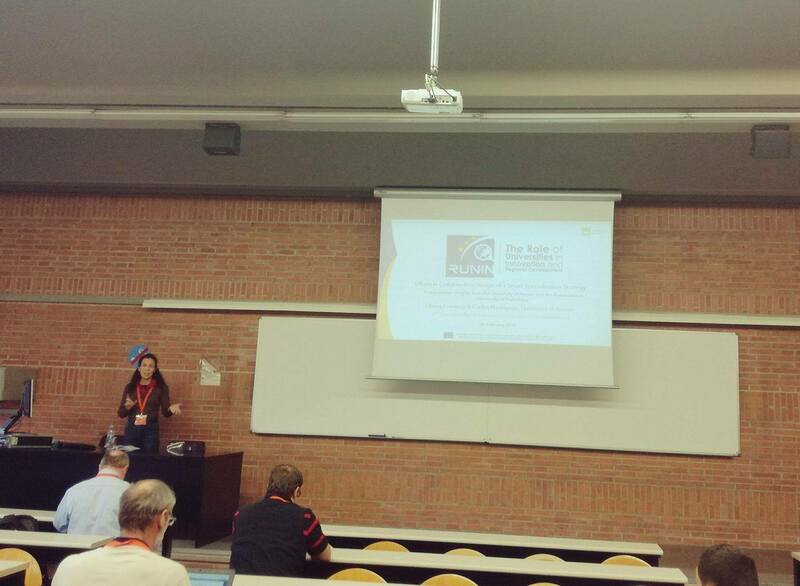 After a short break, we continued with the second RUNIN special session, which was kicked off by a presentation of RUNIN ESR Liliana Fonseca Efforts, presenting a comparative case study, showing the different roles universities can play in a policy development process. 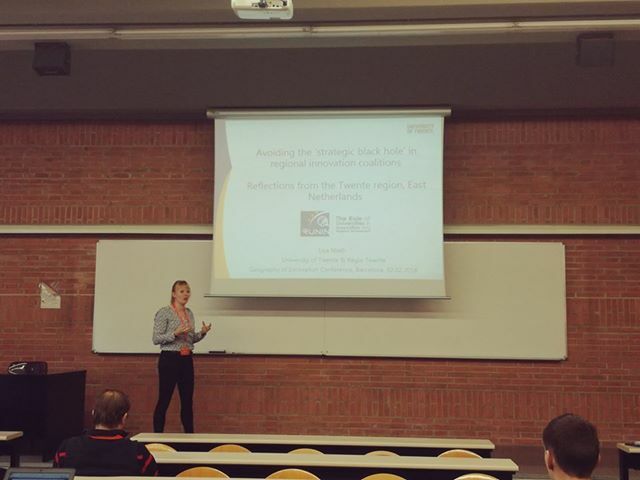 The next RUNIN ESR in line was Lisa Nieth who focused in her case study on tensions that limited the functioning of regional university-industry cooperations. She concluded that the misalignment of goals, lack of suitable intermediaries and the reliance on a limited group of individuals can lead to a black hole which prevent local actors of doing an extraordinary effort for university-industry cooperation. Here after Andrea Bonaccorsi presented a European wide analysis on the impacts of university knowledge on start-up growth. The analyses, based on a combination of a wide variety of quantitative data sources, showed that both the presence of a university within 25km and the research quality of the university positively influences the growth of start-ups. The next and final presenter, RUNIN ESR Ridvan Cinar, emphasized the possibilities for increased university impact by getting more university involvement in social entrepreneurship. However, for the selected case of Aalborg tend to neglect these opportunities and tend to focus on domains such as high-tech, which are less suitable for social entrepreneurship. In general, we can conclude that the wide variety of angles and methodologies on the same topic clustered in the same session led to interesting questions and discussion during and after the sessions. It was nice to observe the different directions in which the ESRs are progressing. 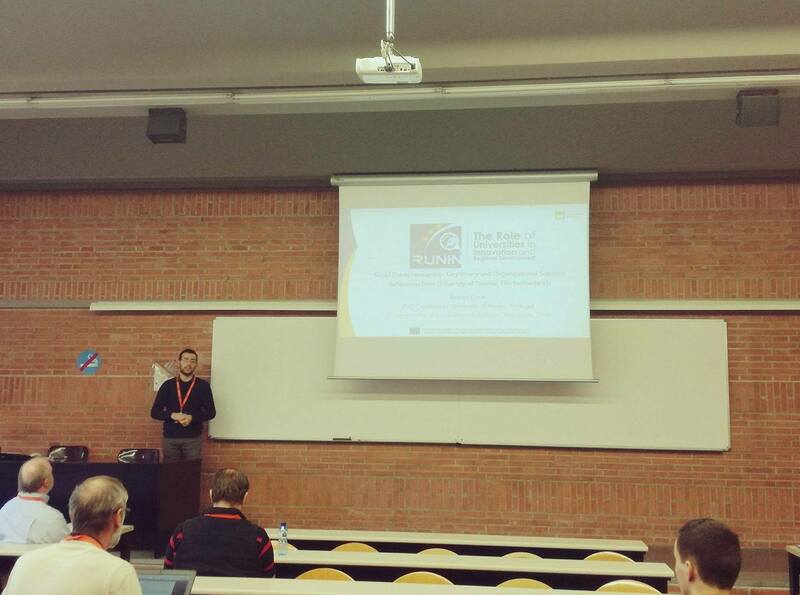 The presence of the RUNIN project was not limited to the special sessions, but also the participation and presentation in other sessions led to additional insights and discussions. Furthermore, GEOINNO2018 offered a nice opportunity to create and reinforce social connections with other researchers in the field of geography of innovation. 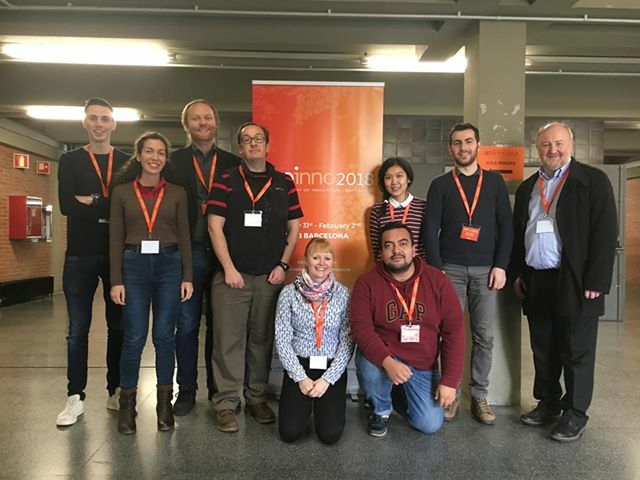 The overall positive experience at GEOINNO, and the knowledge that in 2020 most of the ESR will be presenting their final work, does us look forward to GEOINNO2020, which will be hosted by the RUNIN member University of Stavanger.